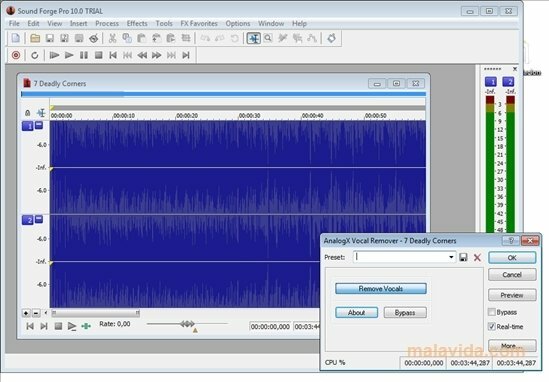 When it comes to sampling a song, with the idea of remixing it or preparing it to be sung at a Karaoke, it's necessary to have a file prepared specifically for this function (MIDI or KAR) or, on the other hand, adapt a song with an application that eliminates the vocals from it. 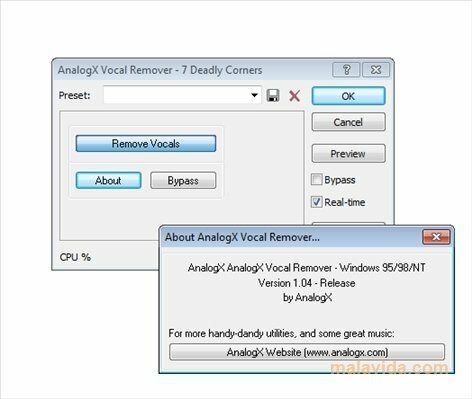 Vocal Remover is a plug-in for DirectX that is capable, by means of a parametric equalizer applied to certain frequencies and a central track suppressor, of removing almost all vocals. It's possible that the effect also eliminates certain parts of the songs that share the same frequency range, like the guitars or some percussion elements. To be able to use this simple complement we will have to load it in an audio processor that is compatible with DirectX sounds, like Sound Forge or Cool Edit. 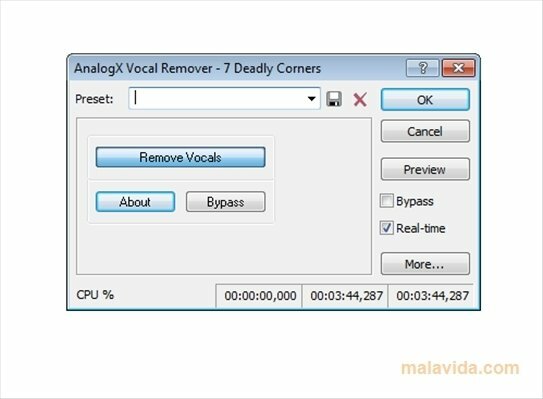 The interface is very simple, because it only has one button thanks to which we'll apply the effect and another bypass button to check the process applied by Vocal Remover. It's necessary to have a DirectX compatible application.